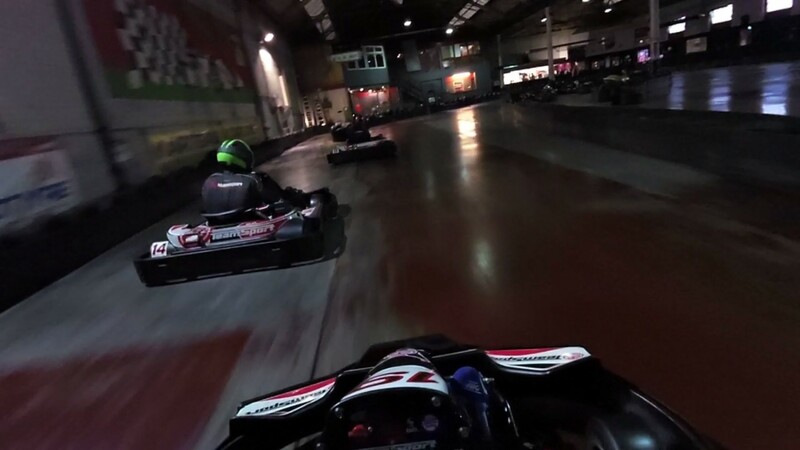 It had been a long time since I last went karting due to some personal and financial reasons, but I couldn’t turn down this chance to put in my last qualifying lap for the KartChamps competition and to use my helmet camera in anger for the first time. As has become customary when going for a later session with my colleague, Nick, we stopped at his house after work to get changed into our race suits and watch some motorsport before heading off to Burger King. Now, I realise that Lewis Hamilton probably doesn’t follow the same pre-race preparations, but I find it enjoyable to spend some time with Nick outside of work all the same. Down at the track, we would be racing the same old faces, all of which I had raced before at some point. 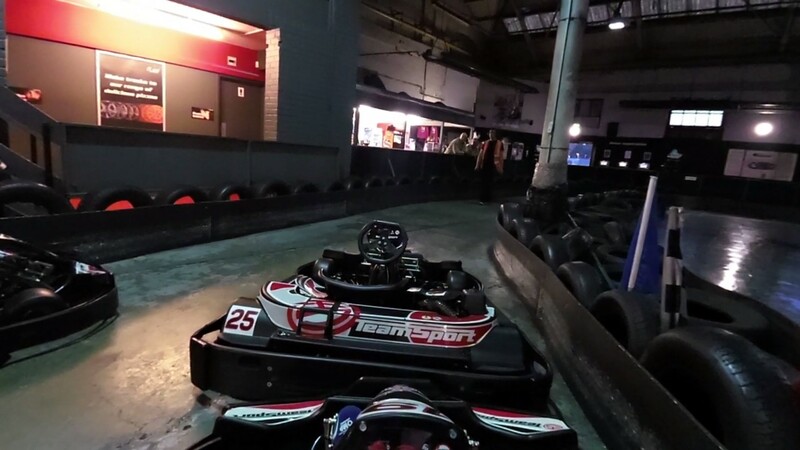 I was purely motivated by laptimes on this occasion, I just needed to set a fast, competitive time for this competition. 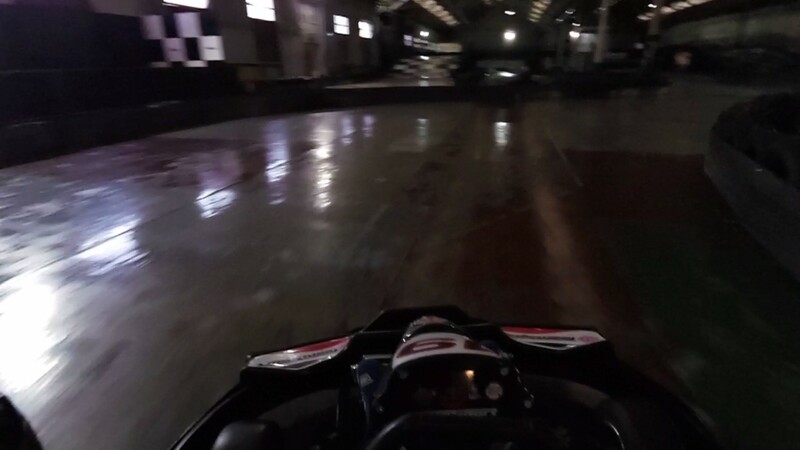 In the first session (and a theme that ran through the whole evening), Nick was consistent but not particularly fast. I remember that, for between half and two-thirds of the race, I was staring at Nick’s behind. 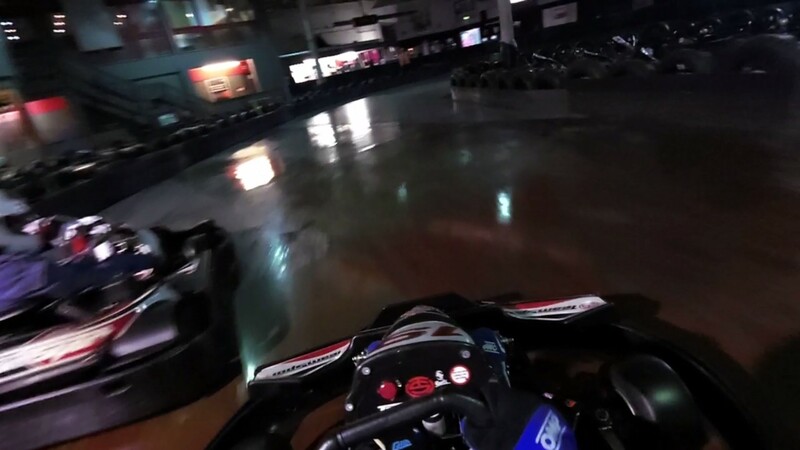 I kept having my lap being compromised by his defensive line, having to drop back and then making an effort to catch him back up within the next few laps. 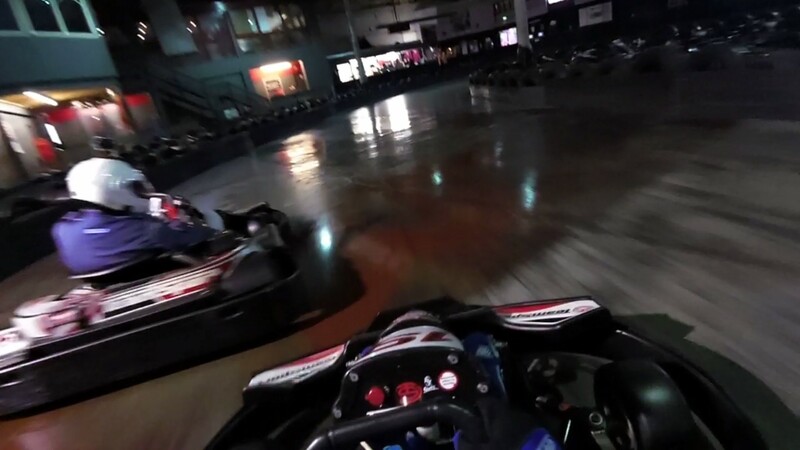 Eventually, I managed to overtake Nick and for the rest of the race, I pretty much had clear air. It was in this clear air that I managed to set my best lap time of the session, a 25.824. 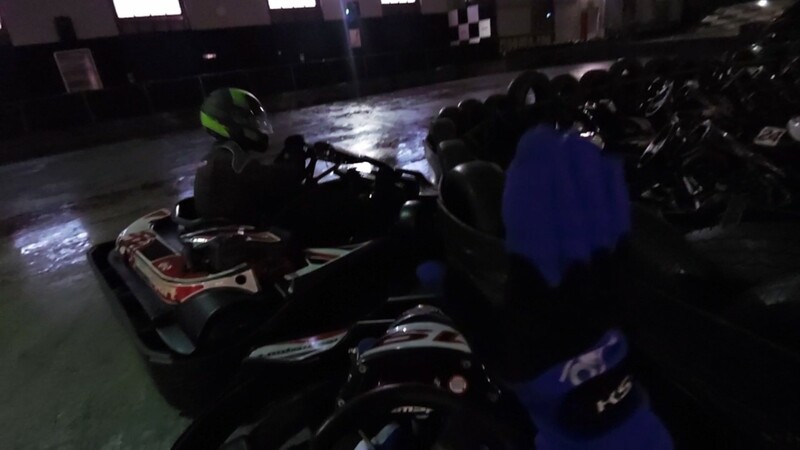 The second session started with a big coming together; I was overtaken and in my attempt to retake the place, I was overly ambitious going into a tightening corner. As you can see from the photographs, I made the attempt from a LONG way back and it didn’t quite come off as I had planned! This turned out to be a positive, in a way, because I was far enough away from everyone else once I had been pushed out of the barriers. Towards the end of the race, I again caught up with Nick, but just ran out of time to pass him. I did manage to put in a 25.325 second lap in this session, just one tenth off my all-time personal best for this track. 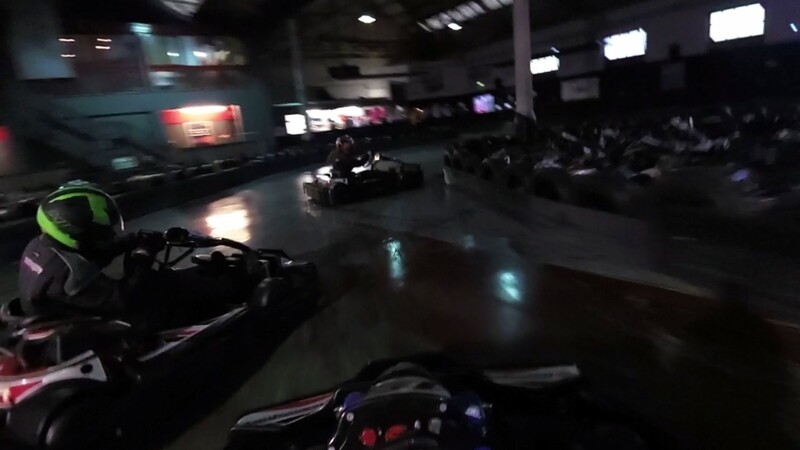 Both myself and Nick were slightly aggrieved that some members didn’t necessarily play fair; as you can see from the videos, we were involved in a number of incidents in each of the sessions, where a kart would punt us out of the way when they were following behind. That being said, I was clearly at fault for a couple of incidents too. The third session started with the drivers steaming away, but I was still stuck in the pits! 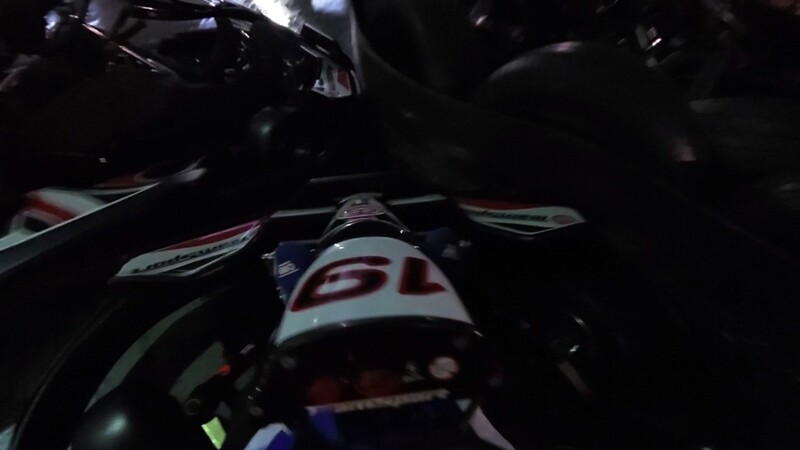 The driver, due to be in the kart in front of me, made an appearance in the pitlane and then disappeared back towards the changing room, so I had to wait until the marshal moved the kart enough for me to squeeze past. I continued to improve throughout the race, and actually achieved a brand new PB in the last lap of the session; a 25.186s lap! I honestly can’t believe that I managed to set my all-time PB in this block, given that my previous best was set during an endurance race where the engine and tyres were nice and warm and the fuel levels were low. 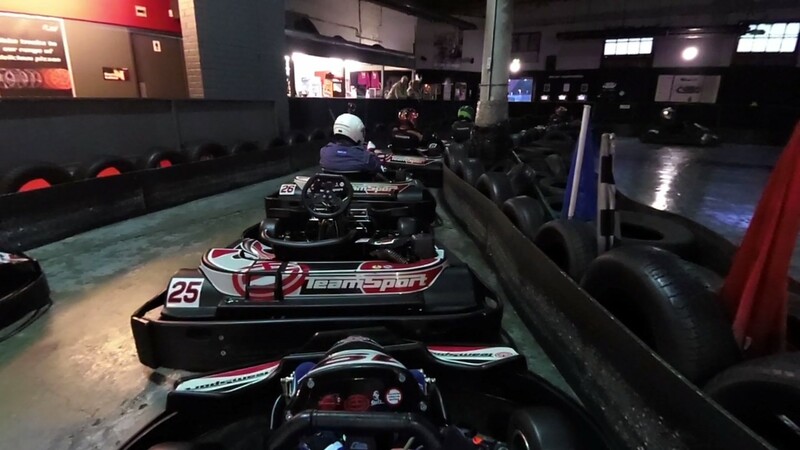 I have a lot of racing planned for the upcoming months; I’m up in Birmingham on the 25th, I have a 50-lap race in Loughborough on the 26th and a “Track Attack” session at Eastleigh sometime in August. I also still need to book my Formula Renault day that was bought for my birthday (this has been a pain to organise due to the company’s lack of availability). P.S. Bonus points if you noticed the Alan Partridge reference in the title of this post!